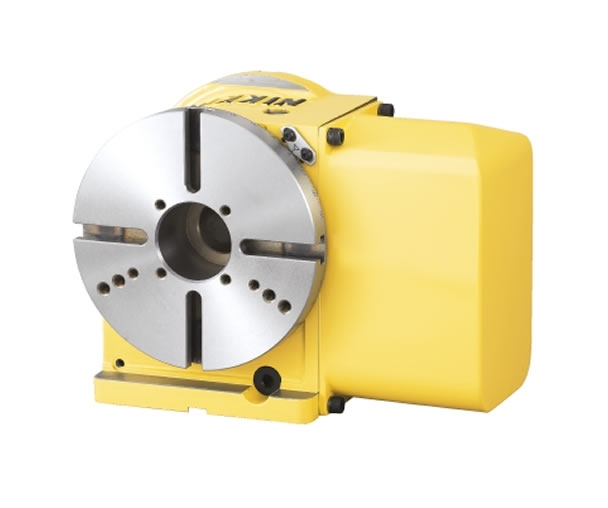 The Nikken CNC202 Rotary Table is a favourite with manufacturers of vertical machining centres. Built by Nikken Kosakusho in Osaka this table delivers outstanding performance levels for a pneumatically clamped rotary table. This table can be supplied with a wide variety of motors and cables to fit your particular machining centre. With a small footprint it could prove to be exactly the solution you need to turn your existing machining centre in to a fourth-axis workhorse deliveringa substantial return on investment while enabling you to take on a myriad of new jobs that were previously "out of reach". The CAD Drawings available from this page are for a Nikken CNC202FA Rotary Table. A left hand mounted motor is available for this model of Rotary Table.